Our professional team are always here to help. It’s all about the team here at RT Machinery, working together, sharing knowledge and striving to achieve excellent customer service to serve you better. Just as happy on a mower as he is on two wheels Richard is our driving force, founder and enthusiastic MD. With a passion for horsepower and the countryside, his goals for the business are challenging and innovative yet with a watchful eye on the need for steady growth and a respect for our environment. 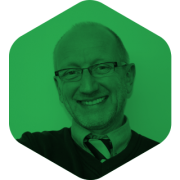 Our sage mentor for many years Robin’s experience shines through in all that we do. 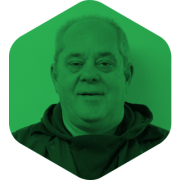 With a focus on our warranty and stock, Robin keeps a watchful eye and ensures our customers get the very best care. Robin’s passion is his football, on the touchline every weekend if he can be and in between family caravan jaunts. In his spare time also doing a first class job of maintaining three local football pitches to top league standards! Our gatekeeper and company secretary. 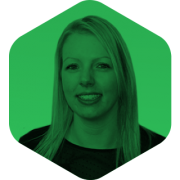 Becky controls the books and looks after all our supplier relationships and payroll. With the company since the day we started, Becky is also a full-time childminder and our cake baker extraordinaire! Joined the company in March 2014 as I really wanted to help develop the family business. Have been covering Hertfordshire, North / Central London since then looking after some key accounts and increasing business opportunities. 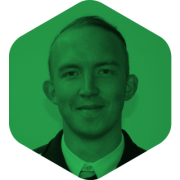 Sales manager since 2016 supporting Richard Taylor to strengthen and improve our operations within the sales department. Thoroughly enjoy meeting clients, completing demonstrations and supplying the right machine for the correct application. Outside of work I am a big family man and football manager at a semi-professional club. Tom has a passion for his job that only someone who knows what it’s like to use machinery and cut grass for a living can have. Coming from a back ground of horticulture Tom knows a good product when he sees one and his ability to match the right machine to the job earns him huge respect from our customers. Keen Spurs fan Tom loves his football and sport in general. Robyn is third generation Taylor in the business and has worked hard to gain a good understanding of the business. Working her way through all the departments and completing her two-year BAGMA management diploma Robyn knows how we tick and has a key role in the management structure. Robyn heads up our office team as well as being a mum to fourth generation Oliver and Aubrey who both spend time with us at the works. Technical Director of the company but assumes the position of Senior Technician within our workshop. Having been in the industry all of working life, very focused on customer satisfaction and giving good service at a fair price. 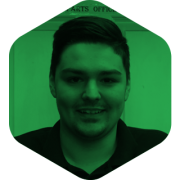 Good humoured with strong leadership skills and very approachable to the customers often found on the end of a phone giving advice. Serious treasure hunter would like to know of any available fields to trawl. Helping out at events, Sharon is always ready with a cuppa! 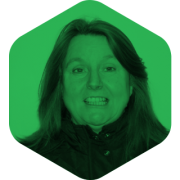 Anne’s our behind the scenes wonder, she works away at all our parts and stock inventory, buying, selling and controlling. Our Miss right or woe betide you! Out of work, I enjoy walking, eating out and socialising. 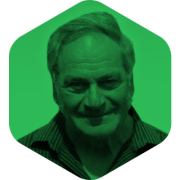 Former IT professional with over 37 years’ experience (in the PSA Group), strong management and communication skills, having led teams of IT specialists for 30+ years. Good humoured and focused on customer satisfaction, achieving results through strong business knowledge and tenacity. Strong negotiating and analysis skills and commercially astute. Strengths are to listen to what the customer wants and to analyse whether this can be delivered successfully, within budget and timeframe, whilst managing their expectations. Happily employed as Workshop Manager at RT Machinery with the drive to provide a professional approach to the team and communication with our customers. Has worked in a parts operations from motor trade to groundcare for the last 40 years – the last 20 being in groundcare and work mates here at RT Machinery – and still learning – maybe one day we will let him out for good behaviour! 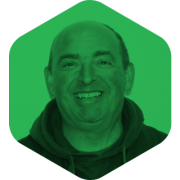 Greg is our ‘go to’ guy out in the field, spending most of his working days traversing the countryside fixing customers kit. He is very well respected by customers and peers alike for both his knowledge and work ethic. Greg started with us in the Risboro’ Turf days as our apprentice and after a short spell with Turners was ‘poached’ back into the company about 10 years ago. Greg has 3 kids and a mad dog (in that order) and enjoys taking them camping and the outside life. His idea of sport is anything on 4 wheels with an engine and would rather be coated in oil than clean. Mark joined the company in 2017 and coming from a mainly 2-stroke background, he is our go-to man for issues with this kit. He also has a background in forestry but spends most of his free time on his passion of scuba diving, often instructing and training novice divers. Mark was warned about the ‘childish’ banter in the service department and has certainly fitted in well on that score and is happy to spread a few ‘digs’, at others, himself. 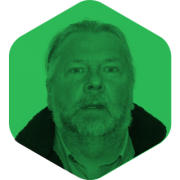 Standing at 6’4 in his platform shoes, Steve came to us from a slightly different background having worked out on customer’s sites on much larger plant machinery (Diggers and Dumpers/Excavators). Having a HGV licence he was also responsible for transporting the hire plant and new machinery to customers sites. His main role at RTM is in the PDI area of the workshop where he will prepare ‘new’ machines for delivery to customers or re-build used machines up to a high standard. 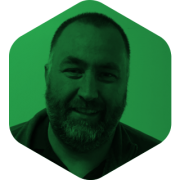 Steve is the quiet man of the team and is often seen chuckling along to the workshop banter but from time to time does manage to get in a little quip himself. He is a keen angler and this year has been introducing his grand-daughter to the sport. Karl is a former marine and has recently re-joined the company (after serving his apprenticeship here). 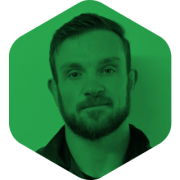 He is a very laid back member of the team and much prefers to be on the road, dealing with customers issues ‘on-site’, when the opportunity presents itself. Karl’s future is mapped out to join the sales team, which will be a big loss to the workshop but we’re confident he will make a success of this opportunity – watch this space. 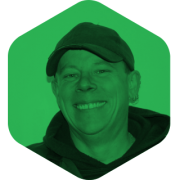 Andy has been in the industry all his working life and has a wealth of experience and product knowledge and having covered a sales area himself, in the past, is still the first point of call for many local customers. 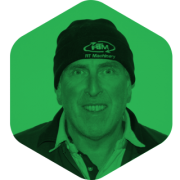 Andy manages the collection and delivery service that is offered to all our customers and also has the unenviable task of managing the company’s fleet including our vehicle and trailer pools, ensuring that we are all about our jobs in roadworthy vehicle/trailer combinations. The other part of his role is to manage the PDI requirements on new and used equipment making sure that the products leave our workshop in tip-top condition for delivery to our customers. Andy sees himself as a bit of a handyman about the house but might be known not to adhere to the old adage of ‘measure twice, cut once’. He can often be found down at our on-site lake, after work, in the summer months as he likes a spot of fishing. He has also enjoyed attending a few race meetings this year watching our landlord, Steve Hill, compete. Steven is a motivated, intelligent young man and is an incredibly valued part of our team. Steven left school after year 11, followed on to a year in 6th form before coming to join RT Machinery Ltd and following in his father’s footsteps; Steven is our Apprentice Technician, currently In his third year at college. In his spare time, Steven enjoys anything to do with cars and getting out on the football pitch. 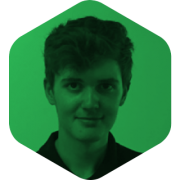 Cameron is the youngest member of the team and joined as an apprentice in the summer of 2018. With his keen attitude to deliver and his attention to detail, he is sure to become a skilled technician and in fact, he enjoys the same commitment to workmanship when indulging in his hobby of model-making. 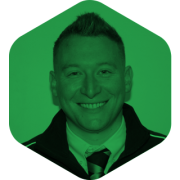 Justin is a very experienced ground care machinery operator and has been in the agricultural and ground care industry for many years. 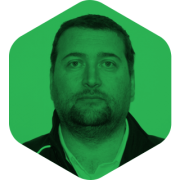 With a career spanning operational and hands-on machinery maintenance, he has also seen the other side of the desk and has strong organisational and supervisory attributes. Justin’s passion is his motorsport and here too he is behind the wheel as well as maintaining and supporting the team. Callum is passionate about his work and will go the extra mile to make sure he gets those urgent parts out the door or the machine up and running. 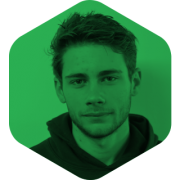 An avid scuba diver and a very happy driver Callum will always volunteer for that Lands End or John o’ Groats run as he just loves his driving. 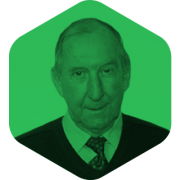 With over 50 years of experience working on and using tractors and mowers, he has a wealth of knowledge and experience. 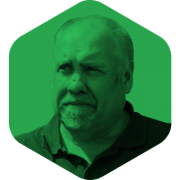 Steve is a freelance web designer, graphic designer and illustrator currently grounded in the beautiful countryside village of Thornborough in Buckinghamshire. 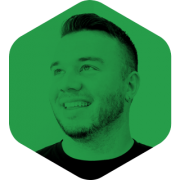 He’s also the founder and lead designer of GoodInk creative studio. Outside of work, exploring the great outdoors is Steve’s main source of inspiration. When he’s away from my busy studio desk, he likes to spend time with friends and family. If you have any enquiries relating to the RT Machinery website or brand, drop Steve an email to contact@goodnk.uk. 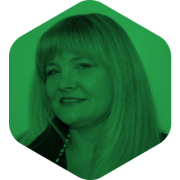 Andrea is our Marketing Consultant and currently supports RT Machinery on a part-time basis. 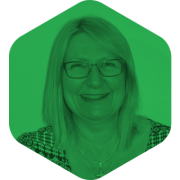 Andrea trained in Business and Finance and worked in the Travel Industry before moving to Direct Sales and then Marketing at Churchill Insurance. 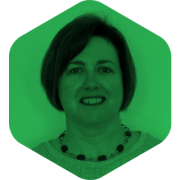 In 1999, Andrea made the switch from the corporate world to business and has since worked with over 100 businesses, helping them to improve their marketing. Having worked with Richard when he first started this business, she is delighted to be working with him and his team again now, adding some marketing methods that weren’t even around in 2001!